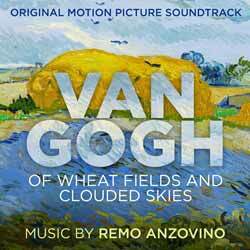 The soundtrack to Van Gogh: Of Wheat Fields and Clouded Skies is one that works whether you're a fan of the movie or haven't seen it. As a standalone album of music it perfectly builds up a narrative by delivering a handful of prominent themes that weave their way through the 22 tracks (1 hr, 04 min, 09 sec). The three most notable being the themes in 'Vincent', 'Helene' and 'Arles Symphony'. In addition 'At Helene's House' is a track that is pure traditional classical music, adding another element to the score, as does the Herrmann-esque strings on 'Madness'. Overall, there isn't a wasted second of music here. It represents a rich, varied and intensely moving musical journey.